Slate Appliances, Granite Counter-Tops & In-Home Laundry! State Street Village is an urban apartment community tailored for your lifestyle. The open concept of each floor plan combines with elegant finishes, slate appliances, granite counter tops, vinyl wood floors, and in-home washer and dryer to make your new home the epitome of comfort. 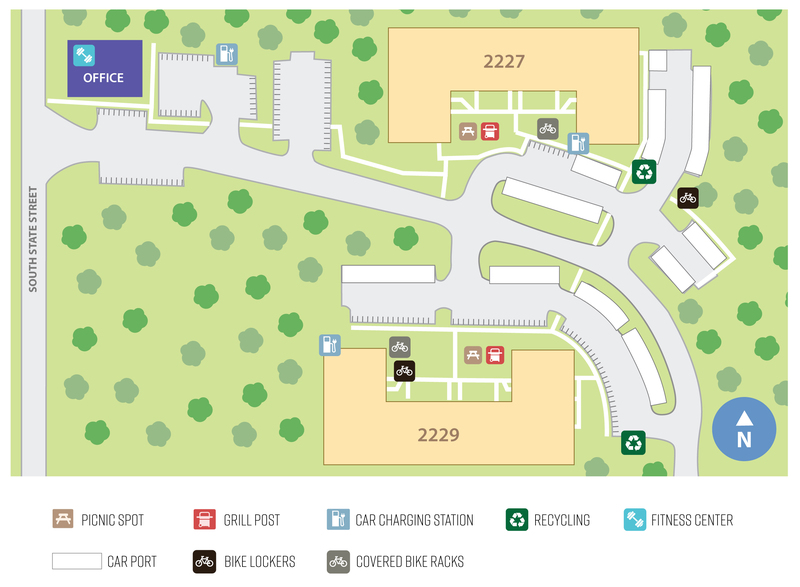 Other touches include electric car stations, a brand new 24-hour fitness center, as well as assigned covered parking with additional free open parking. Located in prestigious Ann Arbor, you are only minutes from the world-renowned University of Michigan Central and Athletic Campuses, University of Michigan Hospital, Mott's Children's Hospital, Briarwood Mall and extraordinary dining and entertainment that only downtown Ann Arbor can provide.